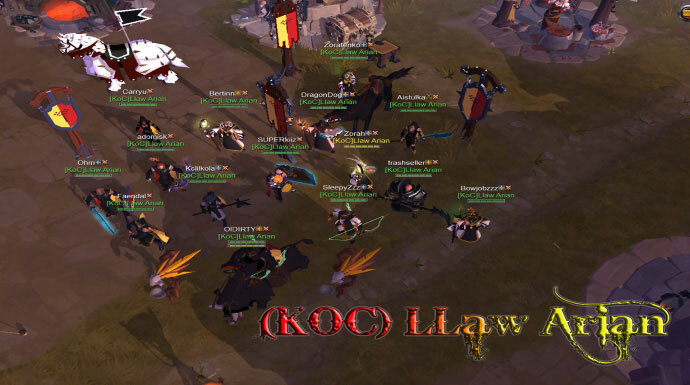 In this week’s guild spotlight we have a look at the international guild Llaw Arian, a guild that has quickly risen in the ranks of Albion Online. For this week’s spotlight, I met with Zorah, Guild Leader of Llaw Arian, and SUPERkiiz, his Right Hand. 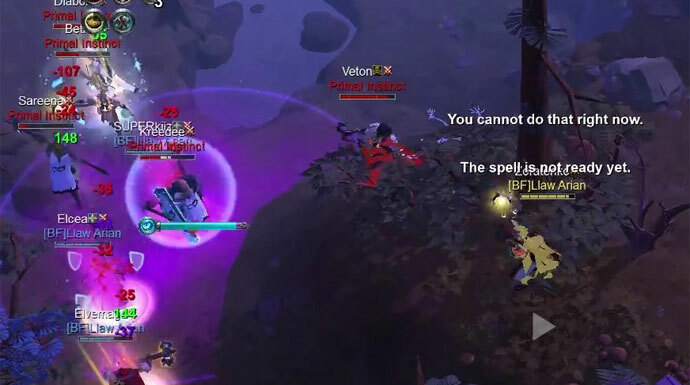 Despite being a relatively new guild, compared to some of the well-established guilds in Albion, Llaw Arian has already fought against many enemies showing them that they deserve to be called one of the strongest guilds the game currently has to offer. Zorah and SUPERkiiz allowed me take a look behind the curtain of the guild and explained me the reasons of their success. Enjoy! The triumphal precedence of Llaw Arian, started almost 20 years ago in Ultima Online. Ever since their creation the guild has had many different names: The DeathJesters (Ultima Online), Vengeance (Dark Age of Camelot), Redrum Inc. (World of Warcraft)… just to name a few. Regardless of the name they fought under, Zorah and SUPERkiiz have always tried to reach the very top of the competition with their guild. Given their history, creating a guild in Albion Online was as sure as eggs is eggs. When Zorah founded Llaw Arian at the end of August 2016, the guild was an empty shell. To make sure that their initial setup was foolproof, he worked together with SUPERkiiz for about a month before officially opening the door of Llaw Arian to the public at the end of September 2016. Llaw Arian has since quickly risen in the ranks of the guilds in Albion and earned their spot among the strongest. 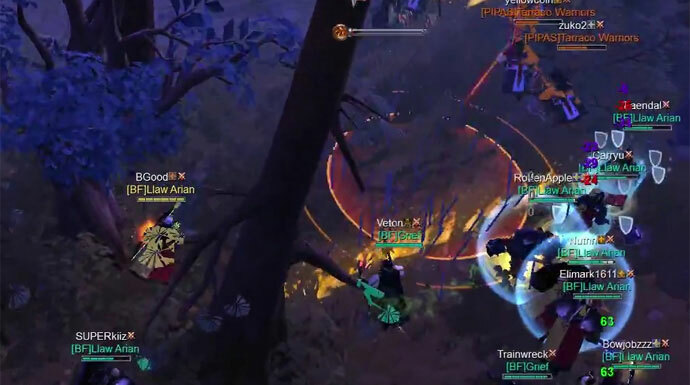 Knowing that Albion is still in development, the guild immediately started using the Final Beta to establish and train the guild’s core to the maximum, with their eyes set on release. To ensure they get the most out of this test, Zorah and SUPERkiiz are keeping their members motivated and active. “After the creation and training of our core, we moved into the black zones making Starlit Grove our home, from there on out everything we did was in order to learn as much about the game as possible and to prepare ourselves for the release of the game,” Zorah gives insight about their starting goals. The central decision-making of the guild lies in the hand of Zorah and SUPERkiiz but they will occasionally bring their officers into the discussion. Those officers are not only involved in the guild’s decision making but are also core pillars of Llaw Arian’s stability. Rinzlor, the guild’s first Warmaster, was the one that prepared the members for the move into the black zones and he created and trained their first GvG team. Currently, he is taking a break from the game but the guild is waiting for him with open arms. The one who took his place was Nuthn, he made sure that the guild was keeping their initial establishment in the black zones. Moving away from warfare, another important position is held by Aistulka, she is the one in charge of handling and training the guild’s recruits until they are ready to attempt the frontlines. When Llaw Arian decided to finally move into the black zones they were supported by two unexpected companions. First, when the members of the guild set their foot into the Outlands they got in contact with ZORN. “Lugzi was probably the best tutor and the biggest help we had in learning about GvG,” SUPERkiiz mentions. “We fought ZORN many times for practice and gained so much experience through the fights with them that until today, we were able to stomp most of our enemies into the ground.” Another wise man that shared his knowledge with the members of Llaw Arian is KingMojo. Thanks to his support the four GvG teams of the guild were able to vastly develop their skills. With the training and the information Llaw Arian had received, they started to search for more competition. Always focusing on the competitive aspect of the GvG, the guild never cared for names and relentlessly attacked everybody that fit into their time zone, regardless of where in Albion their targets lived. Llaw Arian even went so far as to create and ally their own sub-guild, Veneno, to be able to fight in more areas without having to ship their stuff back and forth. “Regardless where we went, regardless whom we challenged, nobody showed the capabilities nor the will to defend against us… we claimed so many territories, towns, and towers that we simply started to drop them once we claimed them from our enemies. From the guilds and alliances that dared to attack us the ELDER alliance was the one that gave us the most competition, but after all of our hard training we left them rotting on the ground as a feast for the dire wolves of the north,” Zorah boldly states on their current standing. While Llaw Arian and ZORN are still scrimmaging against each other, there was never an alliance between them. The first and only alliance Llaw Arian was part of so far, excluding their private KoC alliance, was the OG/BF alliance where they met Grief. Despite Grief’s infamous reputation, both guilds fought side by side for quite a while before they decided to part their ways due to their difference in goals. While both guilds wanted to stay in a friendly relationship, even sharing their respective Discord servers for some time, the tides have turned. Due to a heated argument between one of the Llaw Arian officers and Veton, the guild leader of Grief, the latter issued a kill on sight order on the head of every member of Llaw Arian. Given the verbal abuse and the impertinence Veton has shown towards his former allies, Zorah decided to wipe Grief of the map. Instead of thinking about titles, all Llaw Arian sees in their future is room for improvement and they are determined to keep up their harsh training until the release of the game. The Solar, The Druids, Wild West, KDS or the CDX alliance… as long as they find targets that fit into their GvG teams’ availability they want to keep on fighting! What are your experiences with this week’s featured guild? Share your thoughts and your opinion on Llaw Arian with us in the comments below or on our forums!